Last summer we noticed that the outside of the awning of the big slide out seemed to be "peeling" when it was still rolled up. We patched it up with white ducttape. This spring, when we put out the bedroom slide, the awning over it had big pieces of the upper surface that were completely loose. It seems the awning material is in layers and they are separating . Again we used the white tape to patch it up. It looks pretty bad since it is on the leading edge and looks rippled when the slide is out. Yes the awning fabric can be replaced for $300 or so each but we think that this should not be happening to a 3 year old coach. I have not seen anything written about this problem. Are we the only ones??? No your not alone from I've read before this is a common problem with A&E Toppers. I keep a sharp eye on ours and have made a few touch-ups especially to the leading edge when the slids are in and they catch wind when going 60 plus MPH down the highway. I used pool patch vinyl and the cement that comes in the pack. After it dried I used some white enamel paint and brushed it on over the patch.Used a couple light coats. It's been good now for 1 year with no problems. As ichn2go says I think they had some bad material. 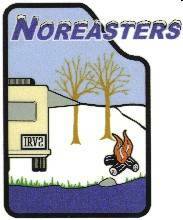 They just authorized the replacement of the toppers for a friend of mine with an 03 motorhome for no charge. He called their customer service department and mentioned he had heard they had some bad material. Ours is 3 1/2 years old I noticed it on both slides livingroom and bedroom at the front and back of each. I patched it with the white duct tape. I hope it holds for a while. You are correct, some of the things that deteriorate in a short period of time just should not go bad so quickly. It seems as though Winnebago does not care. We see the same problems occurring over and over again for the past several years with no improvement. At 3 years mine is beginning to show a little wear. I guess it's from the flapping that occurs. BTW I see that GG1 is from NJ, why not come down to the Rally in Cape May?? Wow, such a response in a short time. I will give the company a call tomorrow. I had no idea so many others had a problem too. Thanks everyone. We originally had planned to go to the factory for other stuff and they were the ones that quoted us the $$$. I will give them a call tomorrow or sometime this week ( Well be on the road tomorrow). I'll keep you posted!! Both my kitchen and bedroom slides have had the awnings replaced at 3 years. Who paid for the replacement you or Winnebago? I had my fabric toppers on both slideouts replaced after 2 years. Dometic replaced both at no charge. I only had to pay the labor to put them on. Dometic was very pleasant to deal with, and asked me to submit pics. I called Winnebago for the part numbers and it was a done deal! Why is CG! blaming Winnebago for a product that is made by a vendor? The awning manufacturer (Dometic or A&E) is who his complaint should be directed to. I agree that the product he and several others that are reported should not delaminate. I just feel that the problem should be directed at the proper company. While email is an "acceptable" form of communication "after" making the first call a lot of times, Winnebago recommends you CALL FIRST and talk to someone,so the "right" questions and answers can be exchanged in a more timely manner. I myself have not only seen the Service Center office in person where they answer these calls, I've used the "system" and had good results. MAKE THE CALL and get the ball rolling....You'll be glad you did.